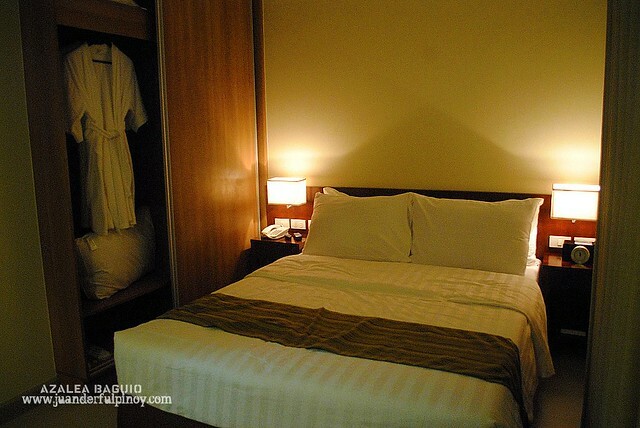 Looking for the best place to stay in the City of Pines for the Panagbenga Festival? So what are you waiting for? Experience fun and adventure at your fingertips. Baguio City is about 240 kilometers from Manila, the capital of the Philippines. The trip from Manila usually takes just 5-6 hours during the day, and sometimes less at night. You can always find cheap flights by searching for perfect deals online. I bet anyone who’s ever been to the City of pines would agree with me that when it comes to summer adventures , Baguio City will be among the top priority of tourist destination. 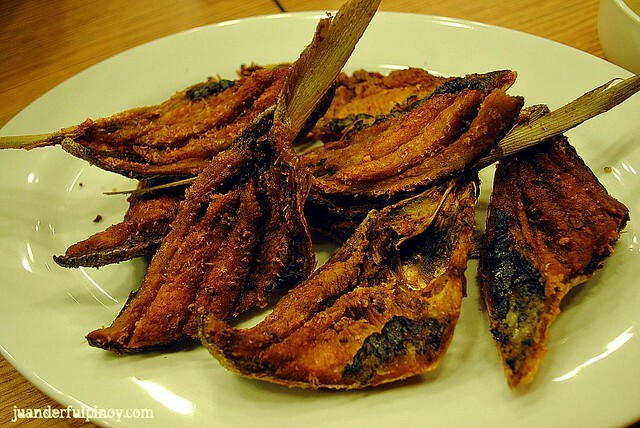 There are so many attractions in Baguio . Burnham Park, The Cathedral, Session Road, Camp John Hay, The Mansion , Mines View Park , Wright Park, Botanical Garden, The Philippine Military Academy, The Lourdes Grotto, The bell Church, the Tam-awan Village, The Baguio City Market , Teacher’s Camp and the famous Strawberry Farm located in La Trinidad Valley in Benguet. Now whether you are on a business trip or simply want to get away from the busy and overwhelming streets of the metropolis, you have to make sure you book a perfect place in the summer capital of the country. 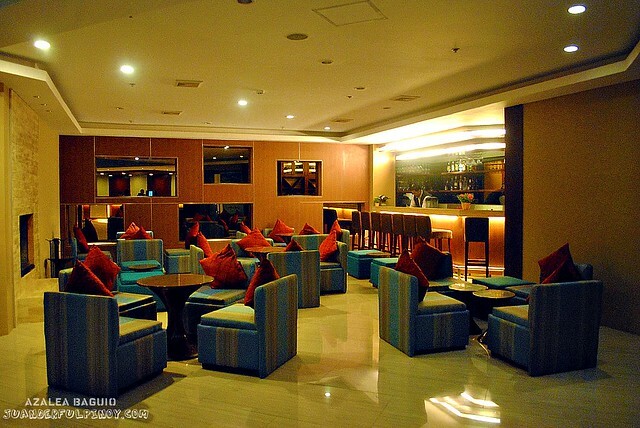 This is a perfect place to unwind, hang with some friends or just grab a good drink. Azalea residences ensures its guests that they will find something to turn your holiday into an extraordinary haven of relaxation and pleasure. The luxurious Azalea residences houses 99 suites with an excellent facilities and amenities I am sure you will love. 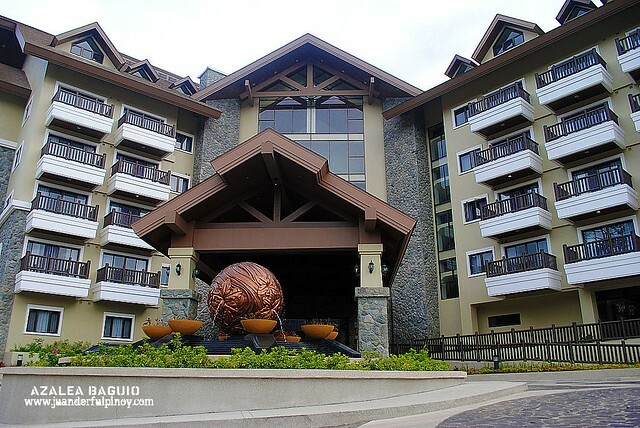 The six storey modern cabin-inspired hotel is located in the heart of Baguio City. Aside from the comfort and luxury of staying in a hotel with style, Azalea promises a world class standard of customer service. Perfect , isn’t it? Enjoy an excellent comfort, support and quality when you sleep on this bed. Azalea offers a modern accommodation . 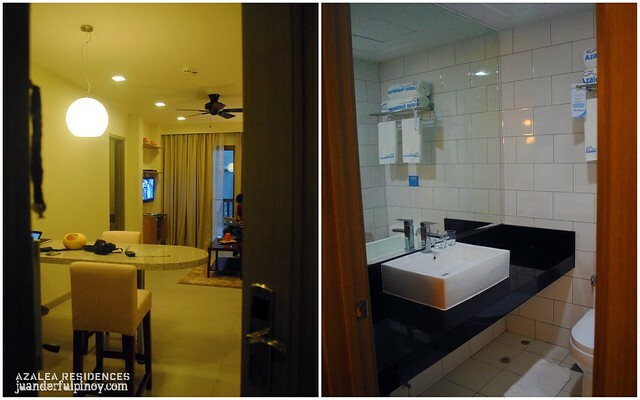 Indulge yourself with a remarkable facilities and amenities . Try to imagine yourself playing on a sofa bed just in front of a huge flat screen television. 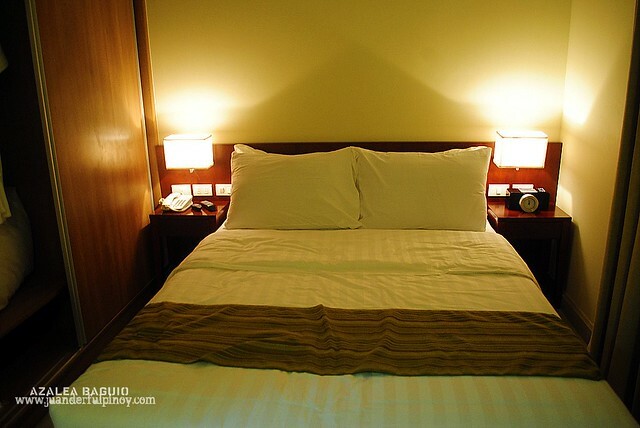 Or sleep in a queen sized beds with soft , imported linens with pillows . Believe me , it was a sleep sanctuary. 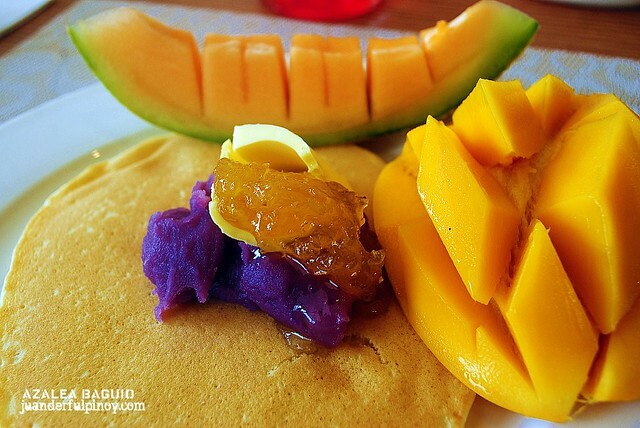 In fairness, masarap ang pancake at ube…. 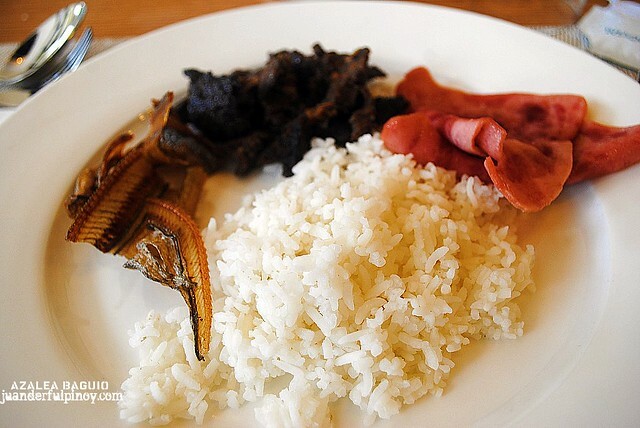 And since breakfast is my favorite meal of the day, I always maximize everything basta masarap. Choosy pa ba ako? 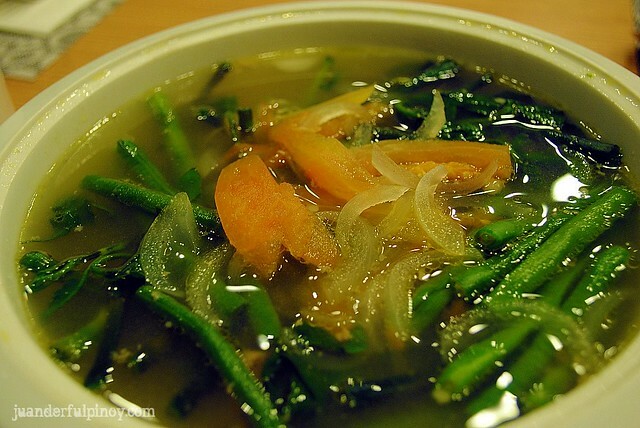 Eating a delicious and healthy food will definitely bring a positive effect on my metabolism. ( I was totally recharged) . Lunch and dinner are also available . 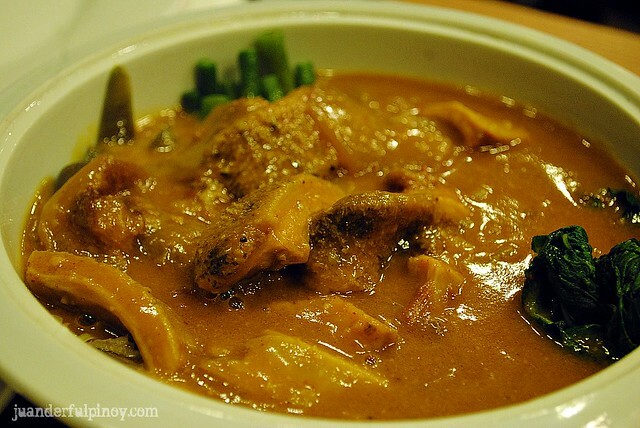 It was a terrific round of Filipino dishes . I should say , I definitely enjoyed not just eating but the whole experience at Azalea Residences. In the future , I want to stay not just overnight but a couple of more days to appreciate the haven in the highlands showcasing comfort , solitude and tranquility in the heart of a lush hilltop panoramic view of the city of Pines. Coffee Lounge, a breakfast and dining coffee shop, mini bar, driver’s lounge, souvenir shop, business center, spa and massage service and a WI-FI internet connection. 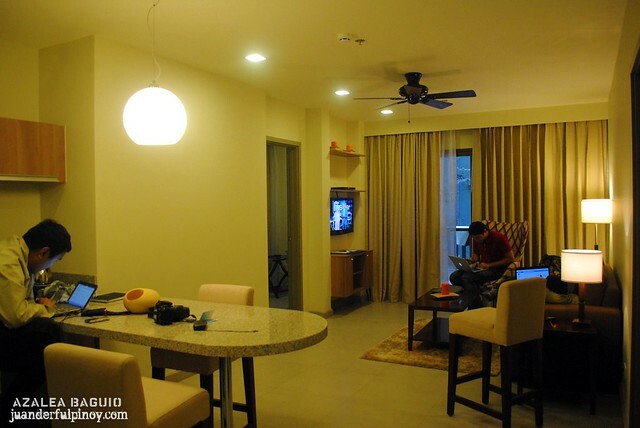 Azalea Residences have expanded their customer’s payment options and they have simplified their business operations. 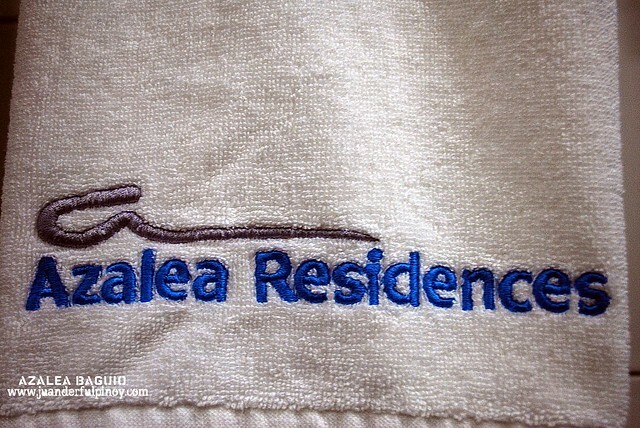 I do know some have credit card processing businesses for hotels like Azalea Residences. So book a reservation now. 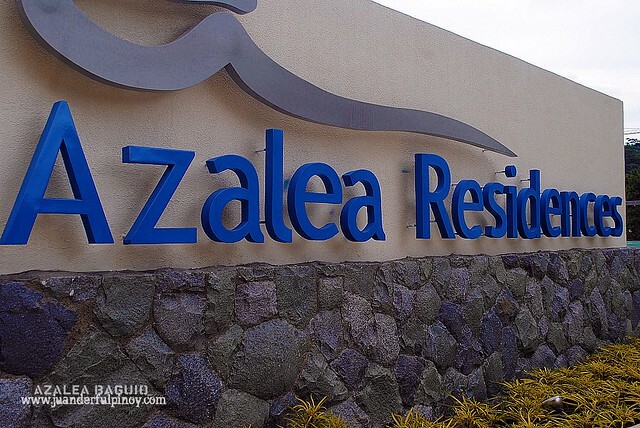 Azalea residences accepts major credit cards online. Make your summer be the best one. Azalea Residence is just a walking distance from Session Road. Thank you Azalea Residences for the complimentary overnight stay. Till we meet again. Now whether you are on a business trip or simply want to get away from the busy and overwhelming streets of the metropolis, you have to make sure you book a perfect place in the summer capital of the country during the holidays.